Hello my lovely Readers! Ugh I am almost finished with my Alphabet Nail Art Challenge. Honestly I wanted to give up and create different nail art designs, but I will always go back to my "inspiration block". Now I am determined to finish the challenges no matter how long it takes. 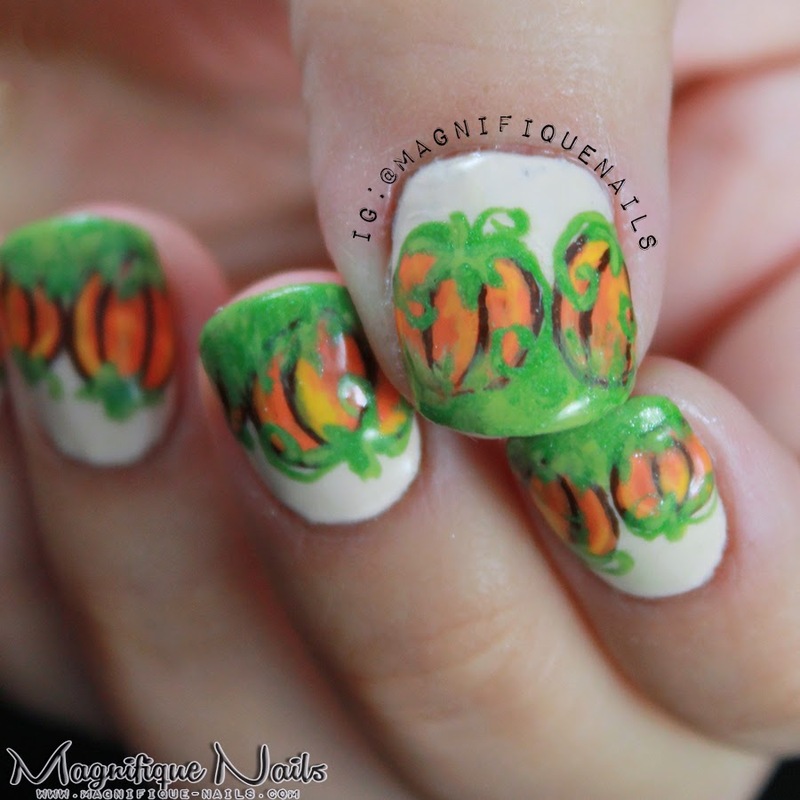 So here's my next Alphabet Nail Art Challenge: P for Pumpkins. For the base, I applied two coats of OPI My Vampire is Buff. Which is a perfect ivory shade for this design. For the grass, I dabbed 32 Flavors Nail Candy Power Trip, on the tip of the nails, using a makeup sponge. I then, repeated the sponge method using a lighter green Julep's Courteney. 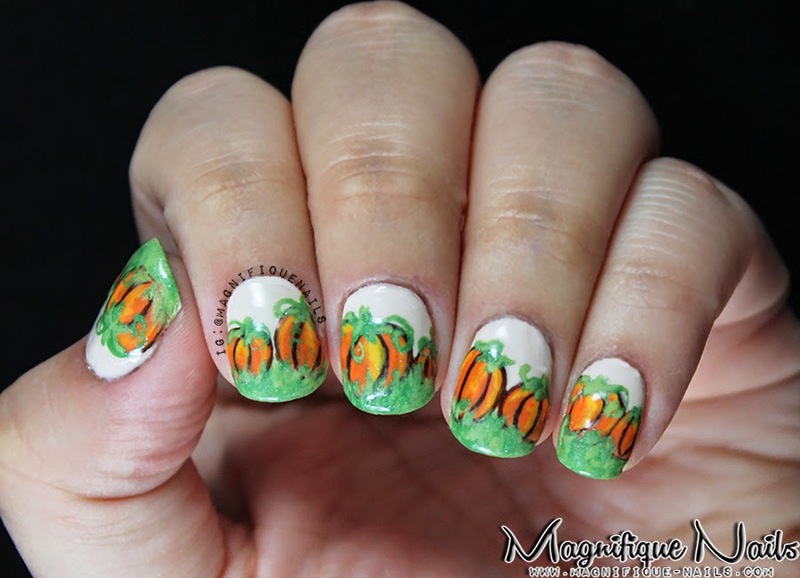 For the pumpkins, I first drew various of circles with a nail art brush using 32 Flavors Nail Candy Brown Sugar and SpaRitual Revere together. Leaving some space for the the lines of the pumpkins, I applied Sally Hansen Sun Kissed, which is the perfect orange for this design. 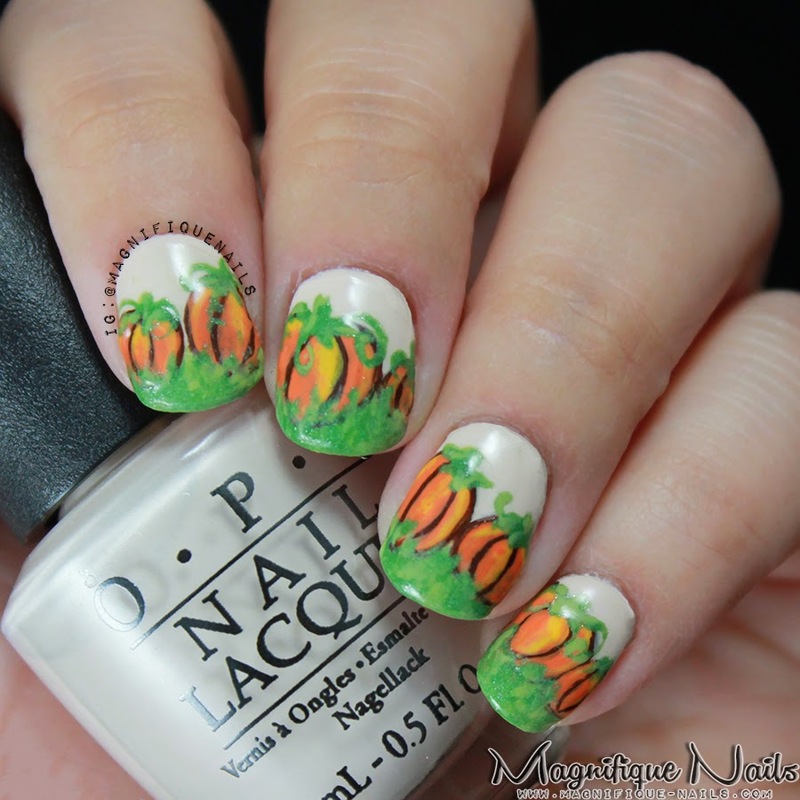 I highlighted the side of the pumpkins with OPI Need Sunglasses?